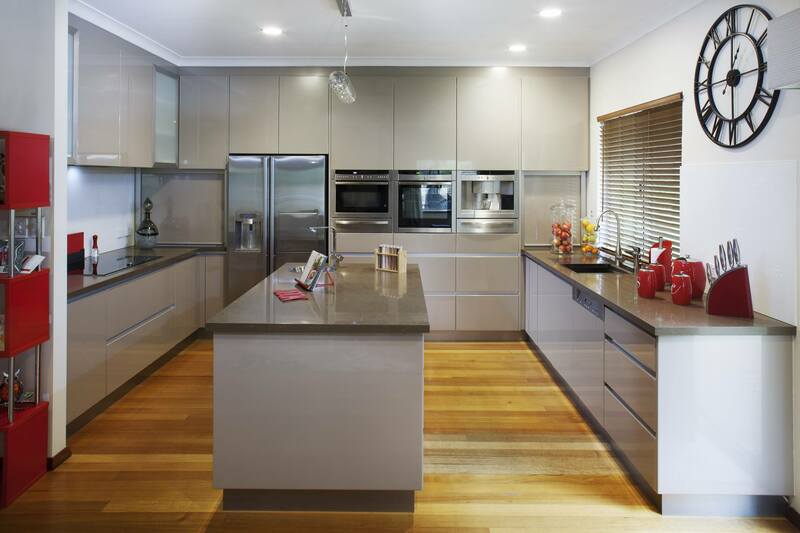 A modern and elegant kitchen in Roleystone with a Caesarstone “Wild Rice” benchtop and vinyl wrap doors in “Bouari Gold” gloss. The island bench is the focal point of the room and features an additional vegetable preparation bowl. Frosted glass on overhead cabinets tone well with the “Axis” glass splashback.